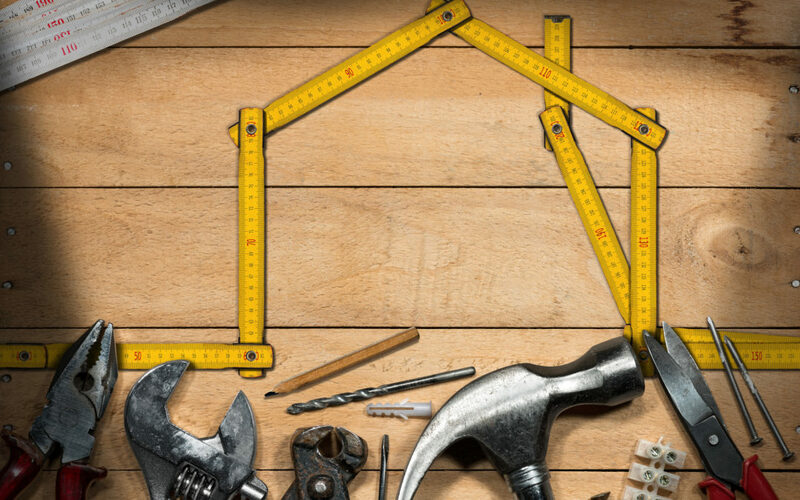 The number of renovation projects in Australia is expected to rise by 3.2 per cent this year, 2.4 per cent next year and 2.5 per cent the following year, bringing the value of home renovations activity to $35.94 billion by 2020. However, as lenders start tightening their belts, more homeowners may choose to downgrade large scale renovations for smaller projects, like adding a deck or undertaking a bathroom and kitchen upgrade. For these smaller projects, families often remain in the property to save on the inconvenience and cost of moving out. So how does this impact on a home’s security? With tradespeople coming into the home throughout the day – from builders, plumbers and painters to people making deliveries – it can be difficult for homeowners to keep an eye on things or notice if something goes missing. Talk to your neighbours and encourage them to report any suspicious activity. Installing a monitored alarm system with live streaming cameras around the home can also help homeowners to keep an eye on the renovation’s progress, checking in remotely using the ADT Interactive Security app. Cameras help to deter unwanted visitors too, and provide clear visibility over the property’s access points, with the ability to view live video or saved security recordings from a smartphone, tablet or computer. ADT Security systems are also linked to a 24/7 monitoring centre which means if the alarm is triggered, ADT will notify you or your emergency contact immediately. If required, a patrol car can be dispatched to visit the property to investigate the situation. The system can be expanded as your home’s layout or requirements change. Contact ADT to provide advice on additional cameras and accessories that can maximise your home’s security, including home automation. Existing customers, or those considering installing a monitored home security system, home automation or CCTV, should talk to ADT before the renovation gets underway to ensure any necessary cabling is carried out during the renovation.